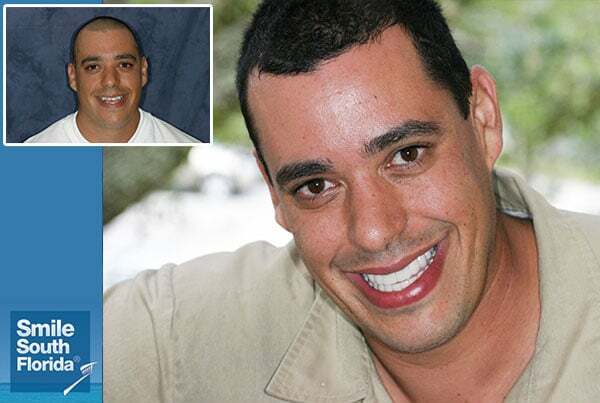 June 14, 2007 — MIAMI , BOCA RATON and FT. LAUDERDALE , Fla. – Cosmetic dentistry has gone through many innovations in recent years, but none as dramatic as porcelain veneers treatments. These wafer-thin shells of porcelain can replace discolored, chipped, misaligned or worn teeth to give you a flawless smile. South Florida Cosmetic Dentistry partners Dr. Charles Nottingham, D.D.S., F.A.G.D ., and Dr. Kenneth Anenberg, D.M.D., proudly offer the da Vinci Veneers. This state-of-the-art dental lab was featured on both ABC’s Extreme Makeover and Fox’s The Swan. Impressed by the quality of their work, the owners asked dental South Florida Cosmetic Dentistry for a full-mouth reconstruction on their mother. Once bonded onto the sturdy substructure of your teeth, the new veneers are strong, durable, easy to maintain and resistant to permanent staining. Best of all, your new veneers will appear entirely natural as they replicate the translucent appearance of your original teeth. This restorative process requires three appointments, consisting of diagnosis and planning, preparation of your teeth, and final bonding. The dentists of South Florida Cosmetic Dentistry believe it’s critical each patient be intrinsically involved in designing their perfect smile. They’ll work closely with you to decide on a plan of action, help you understand the corrective limitations of the procedure and answer any questions you may have. Preparing your teeth for da Vinci Veneers will require a one-to two-hour visit, during which you may receive a local aesthetic. Your dentist will begin by lightly buffing your teeth to allow for the slight, added-thickness of your new veneers. Usually, only a half millimeter of tooth structure is removed. Your dentist then will take a mold of your teeth, which the da Vinci dental lab will use for the fabrication of your new veneers. You’ll be fitted with temporary veneers during the roughly two weeks required to fabricate your permanent veneers. Your next appointment also will require about one to two hours. Your dentist will lodge your new veneers into place with glycerin or water to check the fit and ascertain the appropriate color. Before bonding, he’ll ask for your input as to your desired shade. To prepare for the final bonding, your dentist will clean your teeth with a special dental cleanser to ensure a firm and permanent bond. The special cement then will be applied between the veneer and tooth. The color of this cement will decide their final appearance. Finally, your teeth will be exposed to a visible light beam that will harden the cement. You’ll experience a week or two of adjustment as you get used to your new veneers. Your tongue may find it impossible to constantly probe the new size and shape of your teeth. Your also may experience some transitory changes in speech. Once you become used to your new da Vinci Veneers, however, you’ll barely notice them. It’s important to follow-up with proper dental hygiene. This includes daily brushing and flossing and following-up in one or two weeks with your dentist. Now you’re free to enjoy your perfect smile, so open wide and show those pearly whites.